Last fall we met with Kate and Sajid when Kate’s mother Laura began planning their October wedding. Kate is American but lived in England for a few years and Sajid was born in India but was raised in Maryland. There were a few things they knew from the start; they wanted their wedding to be a reflection of both cultures and the color scheme would be white and green. This was going to be fun! Kate works as a morning news producer with super crazy hours; so much of the planning was done with her mother who completely understood what was important to Kate. Initially Kate had hoped to have a tented reception in her parent’s backyard. However the property was in a partial flood zone so the plan changed. Instead, Kate chose Kentlands Mansion in Gaithersburg as her venue. Kate and Sajid incorporated many things that were important to them. Bridesmaids wore beautiful celadon Sari’s, while Kate wore a traditional American white gown. Their cocktail hour menu was fun American Bistro prepared by Ridgewells. Included were tiny hamburger sliders with matchstick fries, tomato soup shooters with garlic cheese puffs, mini caesar salad in rosemary tart shells and much more. 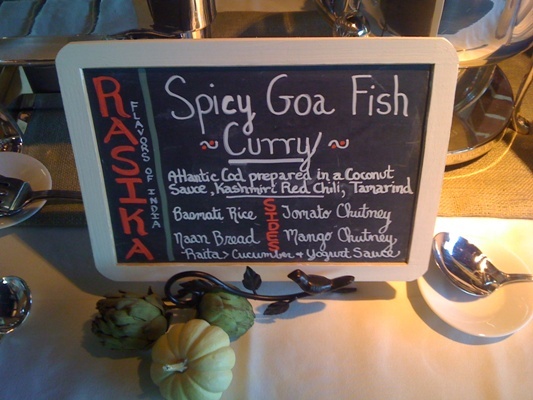 Dinner was traditional Indian fare prepared by Rasika of Washington DC and serviced by Ridgewells. Dessert was classic American, with bite sized fruit pies, cheese cake bits, and milk shooters with chocolate chip cookies. The entire menu had a bit of flavor from both cultures. The ceremony had a very unique characteristic; Kate is Christian and Sajid Muslim, however they decided to have a Rabbi marry them! It was one of the most beautiful ceremonies that I have ever witnessed (and I have seen hundreds). In lieu of traditional readings, they choose to have love letters written by Kate’s grandfather to her grandmother incorporated into their service. It was heartfelt, romantic and beautiful. Blackboards were another unique element that Kate and Sajid decided to incorporate into their wedding. In the past, Kate’s maternal grandparents had used small chalk boards with their initials to write each other notes. So Kate and Sajid decided to use chalk boards on each of their food stations to let everyone know what was being served. Guests were also encouraged to write messages on small chalkboards and hold them up as “speech bubbles” for a photo-op. Kate’s plan was to take these pictures and make her own memory book. Guests had a blast thinking up fun things to write! Kate and Sajid borrowed the idea of Kate’s grandparents chalk board initials and carried their own monograms throughout the wedding. There were hand stitched initials on pillows that Kate’s mother made for the ottomans. Monikers adorned small eggs that topped their wedding cake, as well as on some carved pumpkins, and their doggie treat favors. Kate and Sajid are very passionate supporters of doggie rescues and the ASPCA. 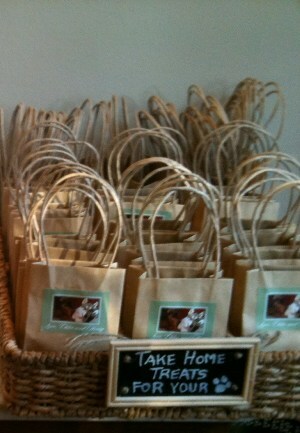 In lieu of favors, they made a donation to the ASPCA and offered guests a small favor bag of doggie treats. 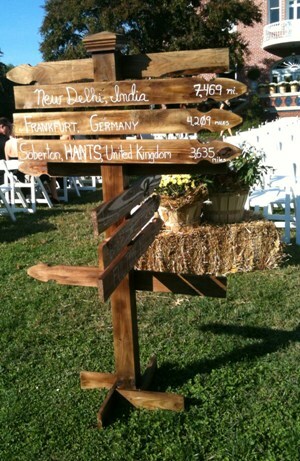 Kate and Sajid’s family and friends travelled near and far, for this reason Kate’s dad made a directional sign with mileage to the various destinations they traveled from. One bridesmaid came from Melbourne Australia, Aunts and Uncles travelled from India and Germany, other guests came from the west coast. Since the wedding date fell in the middle of our gorgeous fall season, both the inside and outside of Kentlands Mansion was decorated in a fall theme. Bales of hay topped with huge fall mums, were at the end of the ceremony aisle. Chairs held cones of biodegradable confetti for guests to toss at the end of the ceremony. 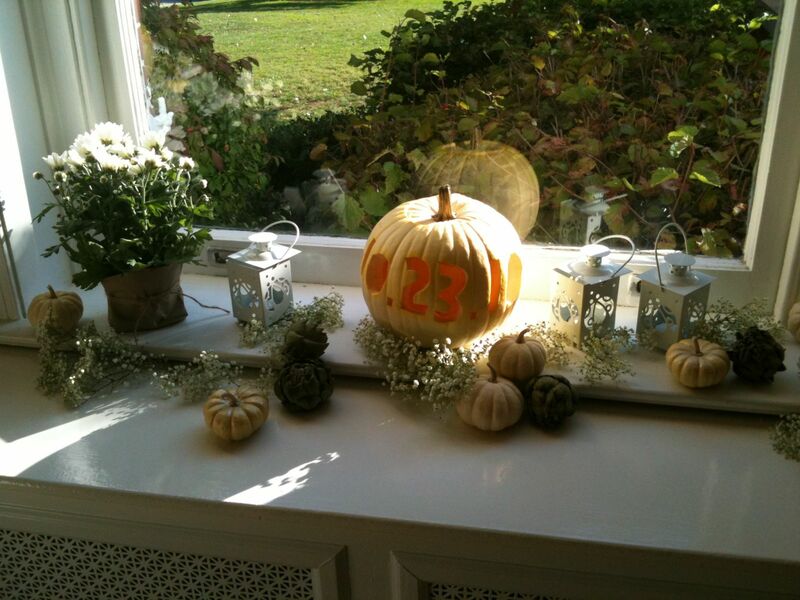 Candles and pumpkins of all sizes decorated the window sills, mantles and tables. 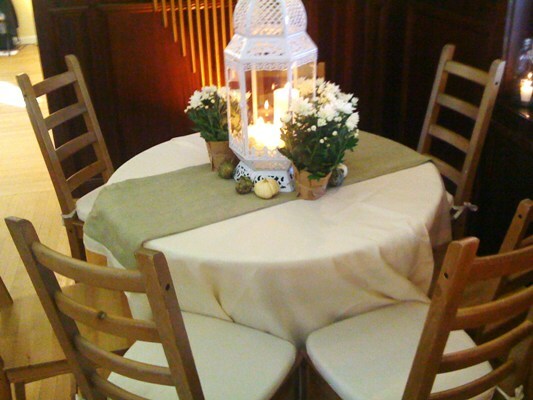 The reception was “cocktail style”, so conventional seating was limited. 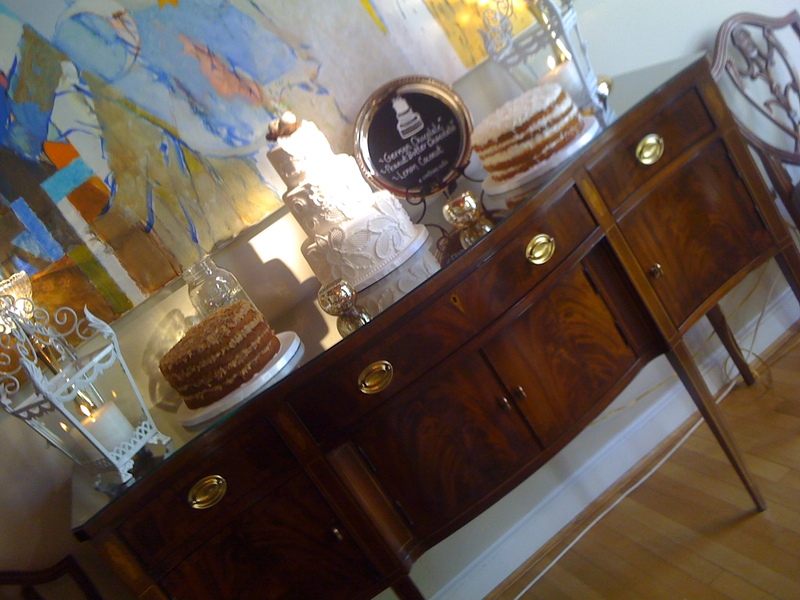 In addition to cocktail tables, ottomans and benches were brought in to make Kentlands homier. Pictures of Kate and Sajid growing up and dating were placed throughout the Mansion. The foyer piano held photographs of their parents and grandparents weddings. From the start of the day (Kate met her bridesmaids for a morning of pampering) until the end of evening. It was a day filled with love and treasured memories.